Must SEE to appreciate artwork spans the 8 panel cd insert where LOCKWOOD fans will also find lyrics to the 7 tracks on this brief (22:47) independent music CD production. The cd tray card features a typo in the title of the first song, which should read as "WORDS OF LOVE". This track begins like a cinematic film scoring for a sci-fi off shoot of the Star Wars character background stories. I imagine Han Solo and maybe Chewbacca darting out toward another star cluster with a smuggler's cargo tucked into the heart of the Millennium Falcon. Lyrical poetry twists cynically upon the mysteries of the heart-felt emotion of LOVE. Artwork for this page of the cd insert appears to depict the ripping, burning explosion of a human face. "WHAT FOR ?" continues this theme into the pondering of romantic disintegration. Guilt. Shame. Disorder. Repentance. Solitude. Artwork on this page seems in tribute to M.C. Escher. "I am the self consumer of my woes" carries the gist within "MEAT PARADE" which is more about the speaker's inability to wrestle himself from the illusion of love and perhaps romantic loss than it is about the Meat Parade dancing before his own eyes night and day. Despite the wealth of opportunity to move on, he cannot, save further into his own uncharitable despair. "I slither out my skin" This line repeats now and again with some slight variation. Sexual connotations of this may take several different routes in thru my own imagination. Metaphorical connotations upon perhaps an internal struggle may reflect back upon the more overt theme of unrest within semi-romantic opportunistic settings. Many layers of potential and complexity await within "MEAT PARADE". "DO NOT DISTURB" presents artwork indicative of a room, and area closed off, boarded up with the personal, territorial signage that reads: "LOCKWOOD", and then guarded on either side of what would be the entrance by masked and armoured bi-pedal creatures that slightly resemble the appearance of Minotaur. "DO NOT DISTURB" deals with Regret, and with learning of the ability to "Forgive and Forget". The speaker here indicates that "memories won't allow" such learning... all attributed to the "need FOR LOVE". Overall, LOCKWOOD appears to take the the experimental route, unchartered, into despair and seething pain lurking deep within the love-lost soul of romantic suffering. While the subject matter may be universal to the human experience, the music itself presents a unique opportunity to draw outside of the formulaic lines often imposed upon new music today by aspiring young writers who may only wish to reach for fame thru emulation. LOCKWOOD is not concerned with imitation, nor with anything outside the personal pain which like a jealous child demands his full attention and thereby is communicated as an individual here through the music and the lyrical development. Subsequent cd releases by this artist may slowly draw away from the singular element of despair, and yet, the experience with unrestrained creative developments within the music itself may be retained as the writer begins to explore the world beyond the vacant lot of LOVE in ruins. Remember the name LOCKWOOD. 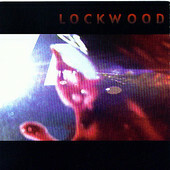 Pick up this early album, and prepare for the unbridled future that yet awaits new fans LOCKWOOD.